Does anyone have the parts for making a 07k longitudinal, I bought the 07k a while back, and just looked on Iroz and they don't sell the parts anymore. Or does anyone know of any other companies that make those parts? Nobody makes any currently, but there are a few working on it. alxdgr8 wrote: Nobody makes any currently, but there are a few working on it. Do you happen to know those company's names? or how I can contact them? Patrick - he didnt finish his version yet, but the guy is like an Alabama bloodhound, once he gets his scent, he wont let go until he is done. Marc is making his too, IIRC, but not sure if he's selling any later. I heard through the Porsche forum that Issam might be working on one also. I'm working on one too that I'll hopefully be replicating/producing on a smallish scale. Following, I still have a forged crank 07k sitting in a corner. Wonder if it wouldn't be easier to just modify the subframe. Possibly, but then you have to come up with a sway bar solution as well. Yeah, there will be an aftermarket solution eventually. Unknown time-frame. Noisy Cricket wrote: Wonder if it wouldn't be easier to just modify the subframe. I have always wondered why no one has tried this. 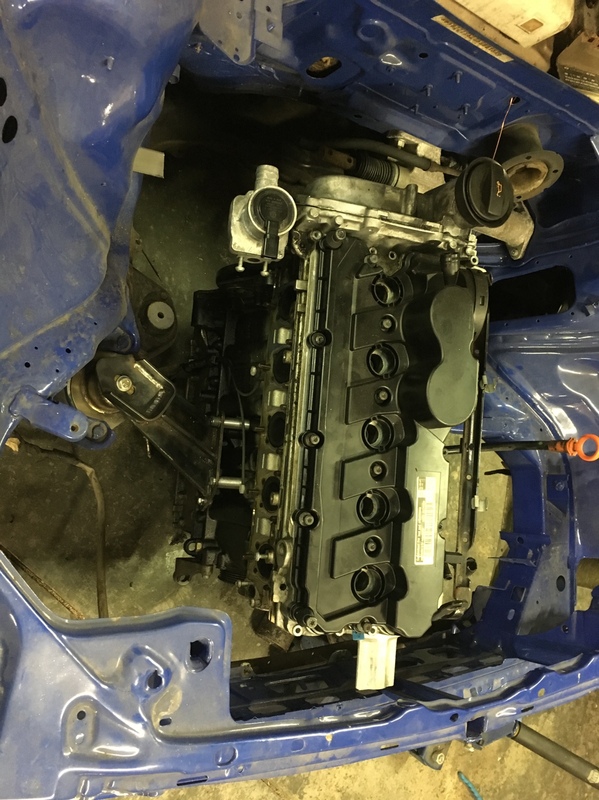 For example I wanted to fab some other stuff and just by flipping the subframe around backwards I was able to drop the engine in the car with stock upper and mid pan. But ones the trans is involved its a different story. The other concern I have heard is that the stock pan could run dry due to where the pickup is located. Its hard for me to imagine that VW made a car that cant sustain cornering forces, but maybe it's true. If you look at the pan Hank made it includes baffles and trap doors unlike the stock pan and the sump is modified to sit where you want it. 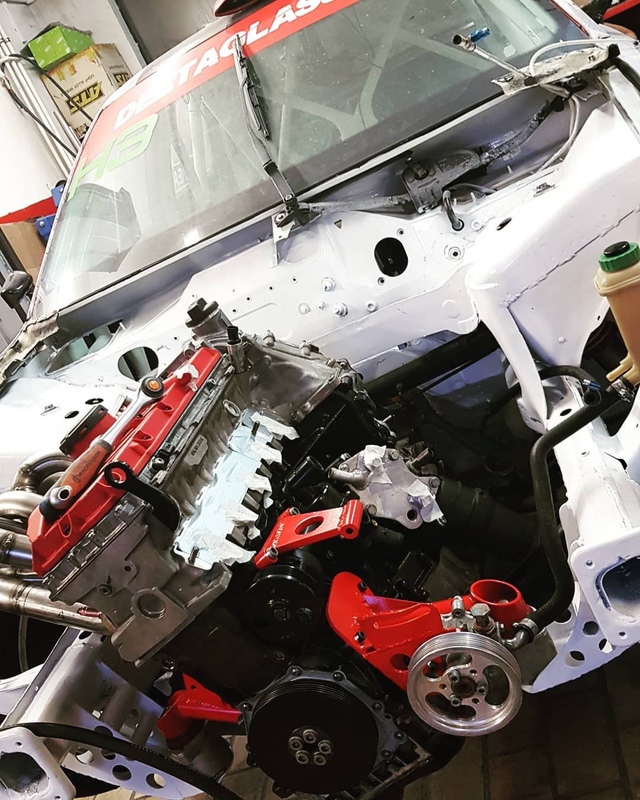 I see the time attack/hillclimb A4 is or was running stock pans and looked like it was doing OK but I bet its not ideal. Remaking the pan looks like a dead end to me. I mean if I was to do it I’d go chips all in. 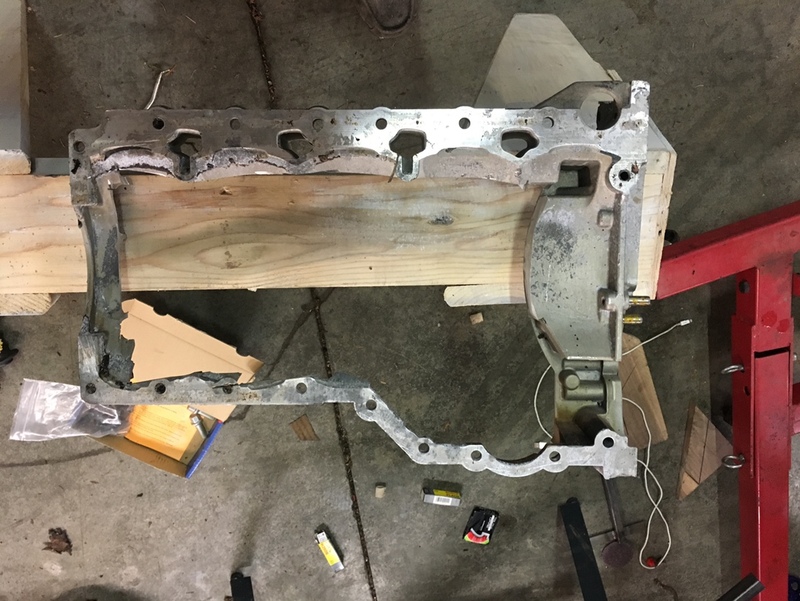 It may be possible to cut off the portion needed for the bellhousing and save that but remake the rest, but I don't know if you could weld to it new aluminum to old. I see one that has been modified and re used parts of it by trimming it down to almost nothing and welding up some new. I don't think it would starve for oil, it's probably better than any original I5 oil pan even though it's off axis. The other option is to rotate the motor almost vertical like Dutter racing did. It requires welding new mount tabs on the transmission, or there was talk on one of the FB groups of an adapter plate. 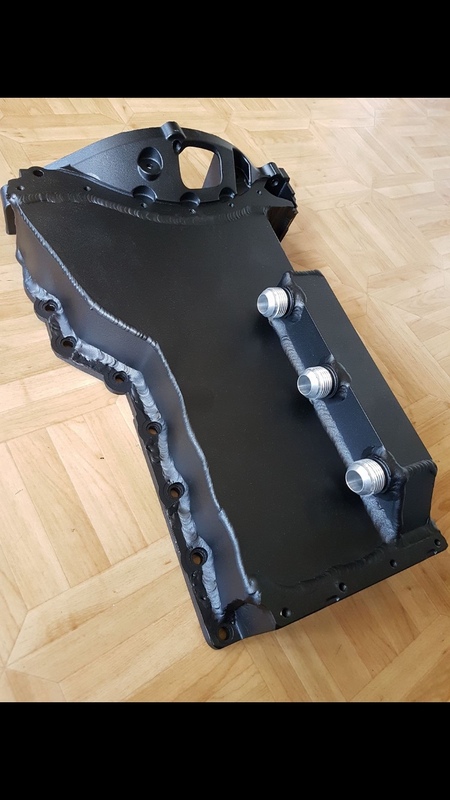 By rotating, I think it would almost clear the subframe. Maybe only some light mods are required. That’s a good point that original pan looks like it’s only good when the car is not moving . I’d say after riding in an RS3 when it launches the stock pan is pretty good . 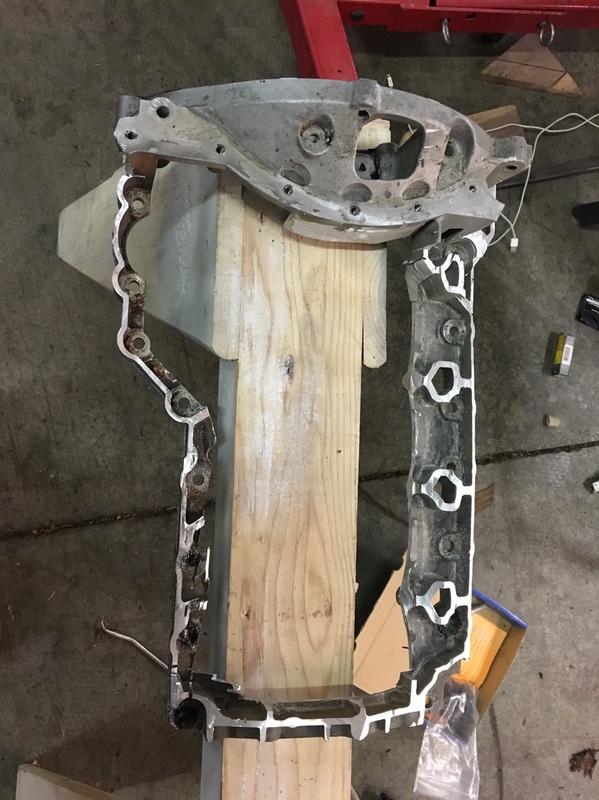 I like the tilt method personally , with the way mine is set up at least some of the holes in the timing cover kind of verify that it’s centered and in the right spot .